It is hard to deny that online casinos can be very creative when it comes to their bonuses. Many rely on this creativity to stay relevant among competitors. They all search of the best welcome bonus, the best Christmas bonus, the best Valentine’s Day bonus, the best Easter bonus, and the list goes on. And preferably they want to have created the best bonus every time a new one is launched. Because most players of online casino games will not be as loyal as the casinos would want them to be. No, they shop around instead and that’s another reason for online casinos to stay on top of their game. But you must hand it to them, it’s got to be difficult to reinvent the same bonus repeatedly. So, we were thinking, the best bonus an online casino player could ever get, is probably the one he or she chooses for him or herself. And that is exactly what Maria Casino must have thought as well. They had offered all new British players the option to choose from three bonus offers as well as 100 free spins on top of that. 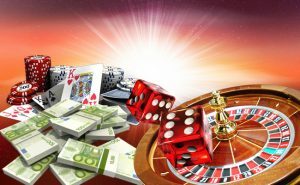 The three offers were all according to the same principle, but you could choose which one was more beneficial for you personally as a first-time player or a new player at this online casino. It was a great way to focus on those first-time players who are not very comfortable yet to deposit a big sum with their first deposit. Deposit £10 and play with £30 instead. The free spins were spread out over several days. Deposit £40 and play with £100 instead. Same principle for receiving the free spins. A welcome bonus 100% matched up to £200. Same thing goes for the free spins.